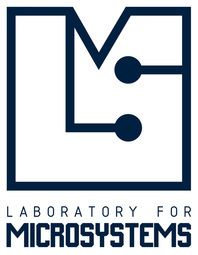 Laboratory for Microsystems (LMS) conducts research and education in microscale engineering. Current topics of interest include microfluidics for bio-diagnostic and medical research applications, and micro-mechanics for material behaviour characterisation at miniaturized scales. We specialize in developing the mechanics and physical principles behind a range of microsystems, both solid and fluidic. Having established these principles we use the resulting devices for biomedical applications through a wide range of collaborations with researchers in the medical, science and pharmacy areas. Laboratory for Microsystems organised the Acoustofluidics 2014 conference held at Monash University, Prato Campus, Italy from 11-12th September 2014. The conference offers an international meeting place for all aspects of acoustofluidics, ultrasonic standing wave technology, and SAW devices for particle and fluid manipulation, ranging from fundamental theory and physics to applications. LMS research is conducted in part at the Melbourne Centre for Nanofabrication (MCN). LMS research is supported by the Australian Research Council.